In the Owens v Owens Supreme Court case from July 2018, the current failings of the system were highlighted. The Supreme Court ruled in July that the 68-year-old could not divorce her husband and escape her loveless marriage until a period of five years had elapsed. She and her husband, Hugh Owens, had been living separate lives since 2015. Mrs Owens will have to stay married to her husband until they had been separated for five years before she will be allowed to divorce him. 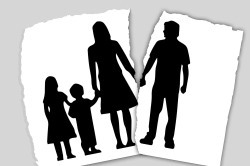 One of the issues in the case was that Mrs Owens was not able to prove that the relationship had “irretrievably broken down.” Current divorce law requires people seeking divorce to give evidence of one or more of grounds for divorce; three are based on ‘fault’ and two are based instead on a period of separation. The five grounds are: adultery, behaviour, desertion, two years’ separation (if the other spouse consents to the divorce) and five years’ separation (otherwise). Using these grounds is how a party can prove that a marriage has irretrievably broken down, but ultimately one party will be accusing the other of being at fault. If the divorce is contested, and a spouse cannot prove ‘fault’, then couples have to wait five years before a divorce is granted. Perhaps spurred on by cases like that of the Owens and the research by academics, Justice Secretary David Gauke started a consultation on 18 September 2018. The government is planning to introduce proposals for a less confrontational divorce process. Under current proposals, the “fault-based” divorce system would be replaced with one where the person seeking to divorce gives notice to the court of the intention to divorce. They would simply state their belief that there has been an “irretrievable breakdown” in the marriage. This would replace the giving of evidence about a party’s conduct or separation. It has also been proposed that the ability to contest a divorce as a general rule be abolished. This would be to stop parties contesting a divorce simply as a bargaining chip when negotiating over finances. The consultation also seeks views on the minimum time frame for the process between the interim decree of divorce (decree nisi) and final decree of divorce (decree absolute). This will allow couples time to reflect on the decision to divorce and to reach agreement on arrangements for the future where divorce is inevitable. While the call for reform is strong, it is worth noting that London is known as the “divorce capital of the world”. This is in part based on its innovative, speedy and generous approach to the division of finances on a divorce. Any changes will be welcome but the Government will no doubt be cautious when reforming the law to ensure that England and Wales retain their attraction as “divorce capitals”.